Congratulations to the giveaway winners, Handmade in Israel and @weeziebeets! Ooh, are you ready for something to brighten up your mood/day/life? 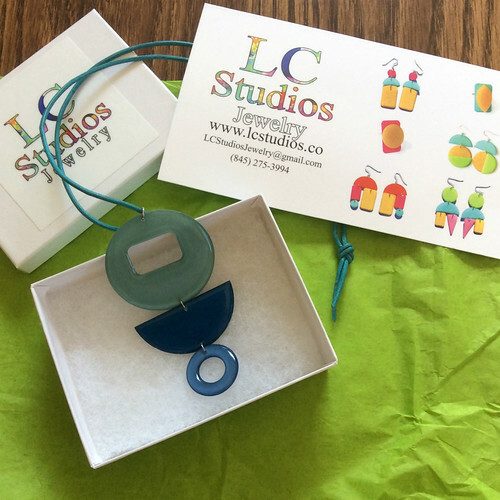 Lisa Cullen of LC Studios wrote to introduce her new line of handmade paper jewelry and I replied saying I'd never seen any quite like it. And I meant that in the best possible way... it's colorful, fresh, and funky. Her pieces have me thinking of juicy fruits waiting to be picked! 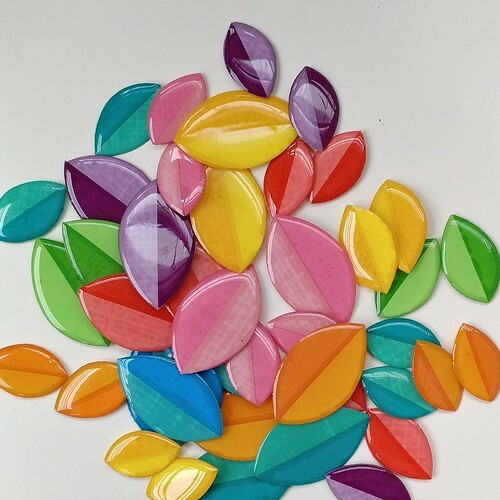 Lisa is a New York collage artist who began making jewelry in her signature material - paper - only in the past year, but it is already taking off in popularity via Hudson Valley shows. 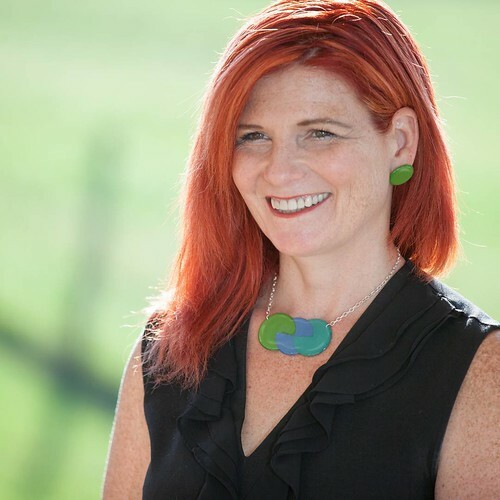 This post is her first foray into showing her creations to a wider audience, as she strives to make the world a happier place, one piece of vibrant jewelry at a time. Lisa creates vivid rings, bracelets, necklaces and earrings... statement jewelry that's a surefire cure for the winter doldrums. The Palette Rings in the top photo have a sterling silver band and are available in sizes 5-9. 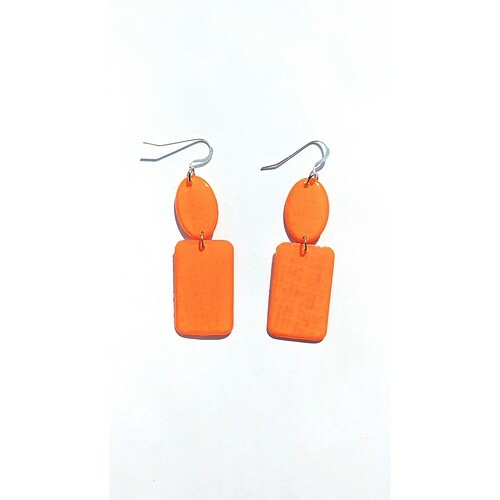 The tangerine Chloe earrings (below) are 1.25 inches in length and are reminiscent of hard candies. Lisa enjoys working with many kinds of paper... colored card stock, handmade papers, and hand-painted paper all lend themselves well to her designs. 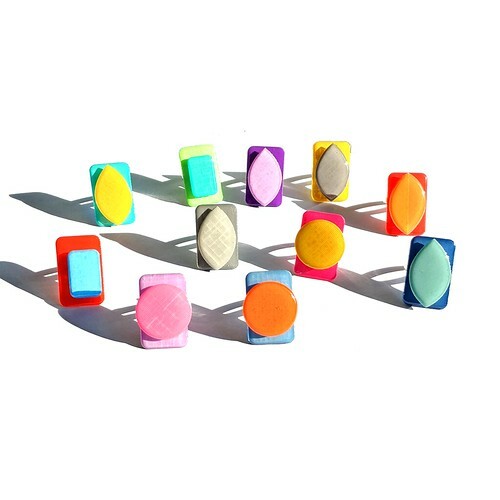 Each piece is finished with a domed coating of non-toxic, clear epoxy resin on each side, making the jewelry glossy, durable, and water resistant. Even a cluster of one hundred charms on a stainless steel bracelet is lightweight. A customer told Lisa her bracelets are like "wearing a party on your arm!" 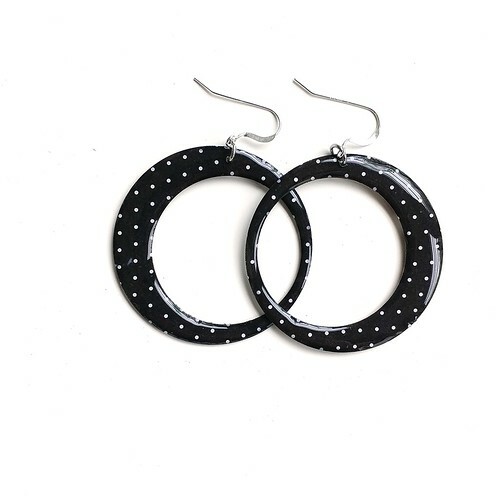 These contemporary earrings are her take on 60's classic hoops. They have sterling silver ear wires and are two inches in diameter. Turn them over and surprise, you'll find a floral pattern on the opposite side... such a nice feature! 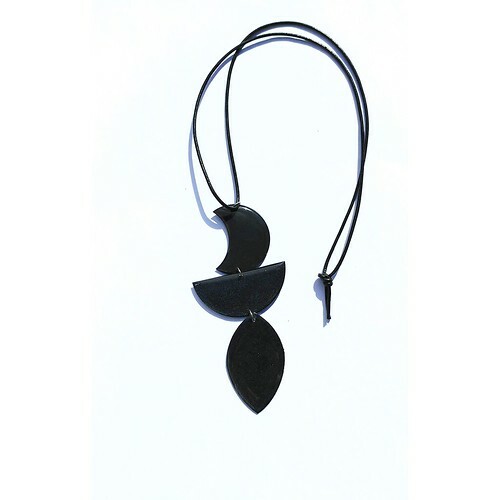 You could pair the hoops with this bold Goddess Pendant on a black leather cord. Now about the international giveaway: Lisa is offering two prizes! One winner will receive a $25 gift certificate and another will receive a $50 gift certificate to spend on an item or items of choice from the LC Studios shop. A shipping charge will not be collected - how nice! This same giveaway is underway on Instagram. Enter at one or both places by the end of Saturday, February 17, 2018. Two winners from all entries will be chosen via a random number generator and announced at the top of this post and on the Instagram giveaway photo. Good luck! LC Studios is on Instagram, Facebook, and Twitter. What fun jewelry! And I noted the lovely packaging at her Website. Very unique in design, assembly and color. I love color and whimsy, and her jewelry is so fun! Ooh, her work is delightful! So fun and so colourful! I’m in love with the purple bracelet! So gorgeous! Oh my goodness...your work is outstanding. Nobody would ever guess that it's paper. It looks so stunning and the designs so lovely that the idea that it's paper is simply a bonus in the end. Congrats on your success with your work. 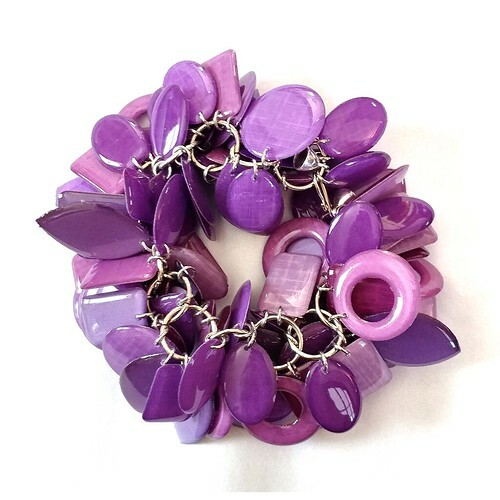 LC Designs are unique, colorful, beautiful, lightweight, but strong jewelry pieces. I ❤️ my necklace! Love it, looks like colorful yummy candy! So bright. Thanks for all the entries and nice comments, everyone! The giveaway has ended.. Excited to be one of the two winners - thank you Lisa!